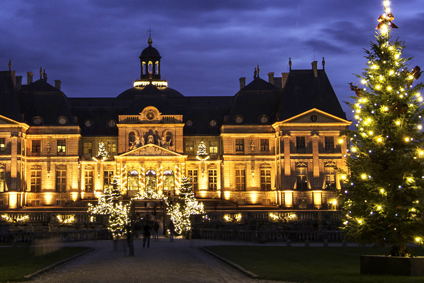 Our room fragrances are the perfect tie-in with the Christmas decorations at the Château de Vaux-le-Vicomte this season. Natarom and the Château de Vaux-le-Vicomte have enjoyed a successful partnership for several years and this year is no different. Our scent diffusers and carefully and discreetly hidden in the décor to delight the senses of visitors. A sure-fire way to tap into people’s emotions and rouse childhood memories! Tucked away behind a variety of toys, the scents of chocolate, cinnamon, orange and gingerbread coming from Natarom diffusers are simply spellbinding. Throughout the château, the fragrance of fir trees mingles with the authentic scent of log fires that blazes in the rooms. This year, Vaux-le-Vicomte invites you to come and discover popular toys and games from the 18th century including wooden lorries, sledges and trains, music boxes, teddy bears and many more. Room fragrances are especially popular at Christmas time and Natarom, the scent marketing specialists, offers an excitingly diverse catalogue of perfumes compatible with its perfume refills for diffusers.